Taroudant- Hollywood superstar Tom Cruise, who is in Morocco for the fifth installment of Mission Impossible 5, was seen in the Derb Sultan neighborhood in Casablanca. Before getting into the car, Cruise waved to the onlookers who were there on the scene taking shots with their smart phones. 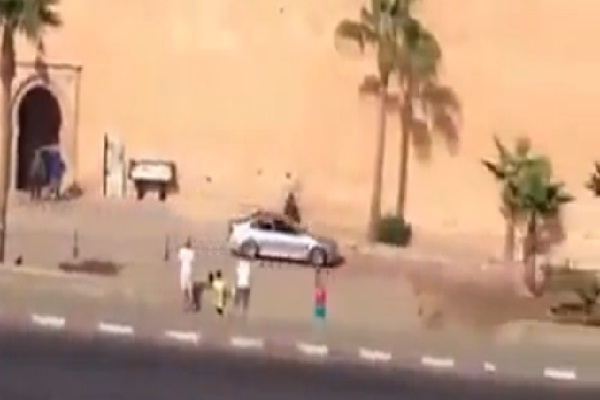 In an amateur video posted on YouTube, cars spinning in the narrow streets of the old medina of Casablanca at full speed and the sound of screeching tires made a roaring noise. The 52-year-old actor arrived on Saturday in a luxury car in Rabat, Morocco. The Mission Impossible 5 is set for release on December 25, 2015.